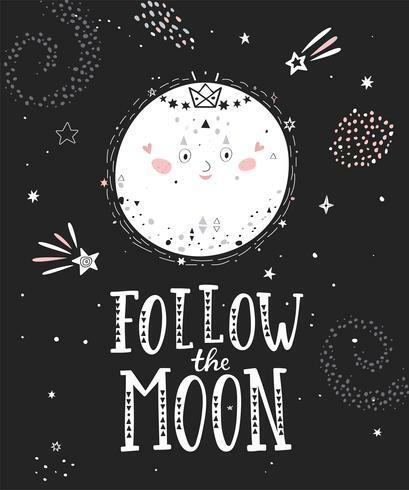 Follow the moon monochrome poster with full moon and hand drawn lettering. Vector illustration. Stay wild moon child poster. Fly me to the moon poster.